Hati and Sk?ll - the winter wolves of Fremennik legend - are back from Thursday the 16th of January, bringing bonus XP aplenty for those who can defeat them, as well as new valkyrie-themed cosmetic overrides. New this year is the appearance of Eir: a valkyrie preparing herself for the End of Things, which she believes has come with the Sixth Age. She has lost her helmet and spear, and needs your help to retrieve them. You may obtain one of these items by defeating Hati or Sk?ll, or by harvesting the enriched wisps at the colony south-east of Rellekka. Although you can get duplicates of that item by continuing to complete these tasks, you can only obtain the other by trading a spare with another player. 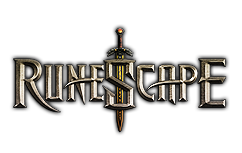 Bring Eir's spear and helmet to their owner - by the divination colony, just south of the Golden Apple Tree in the Fremennik Province - and you'll earn your choice of bonus Prayer or Divination XP, plus cosmetic override versions of the two items.